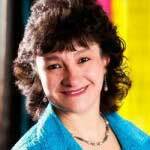 Graciela Tiscareño-Sato is a Latina, Air Force Veteran, aviator, publisher, author, entrepreneur, philanthropist, world traveler, wife, mother, sister and daughter. She is a woman everyone should know. 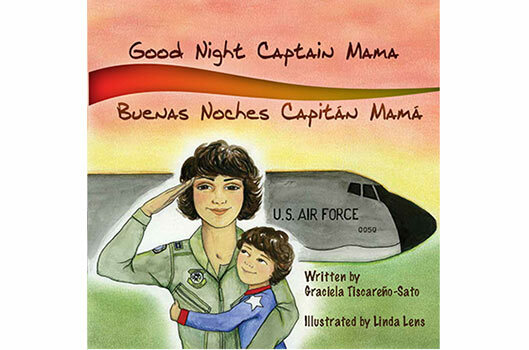 Her latest project, children’s book Good Night Captain Mama, is her effort to promote positive images of Latinos, especially those in the armed services. Growing up, Tiscareño-Sato only saw stay-at-home mamis as role models in her neighborhood. Her curiosity led her to wonder why parents of her friends lived differently and the answer was college. In high school she learned about the Air Force Reserve Officer Training Core, which led to almost a decade of service in the Air Force. By breaking the mold of the women she grew up around and serving in the military, Tiscareño-Sato learned powerful life lessons she would have missed out on otherwise. Little did I know when I sat down to interview her that she would have some life lessons for me, too! LESSON 1 An ROTC scholarship pays all four years of education at institutions enrolled in the program, and produces officers ready for the military. When Tiscareño-Sato graduated from University of California, Berkeley, she entered the Air Force as an officer. At the time, she was had few female peers, especially Latinas. At her ROTC graduation she was one of two cadets to receive regular commission; an honor that gives her the same status as if she would have attended a prestigious military academy. She spent nine years navigating missions in various aircraft like the KC-135, an airplane that connects to others for refueling mid-air. LESSON TWO Negative stereotypes of Latinos provided Tiscareño-Sato with her mission: to create a new image of Latinos as Americans in service to this great country. She is also dedicated to eliminating gender conditioning, where girls play with dolls and boys play with trucks. Instead, she wants to showcase all the diverse potential of women. She created a publishing company and writes her own books in pursuit of these goals. LESSON THREE When I asked Tiscareño-Sato how she balances it all, she laughed out loud. She shared her perspective that true balance in everything simply does not exist. She instead chooses to compartmentalize. It’s one of the many skills she learned in the military. Tiscareño-Sato shows how we can define success one accomplishment at a time, instead of feeling like we need to succeed on every front at the same moment. Her definition of success is the culmination of one’s accomplishments as a whole. LESSON FOUR “I’m okay with it.” That’s the advice Tiscareño-Sato’s mentor, retired Air Force Colonel Kimberly Olson, gave to her, and she says this is the key to her ability to compartmentalize. The moms at school may say she is never around. The other officers may say she always leaves early, but she is okay with it. Tiscareño-Sato says women need a direct focus on who they are now and who they will be in the future and never let anyone else’s view of who they are change them. Graciela Tiscareño-Sato, like the mami in her book, Good Night Captain Mama, is an inspiring role model. She is an example of what a strong, determined Latina, mother, entrepreneur and military officer can do with her life. The key: Live your life in pursuit of creating the best image of yourself for now and generations to come.